This season, do come to celebrate a “Starry Christmas 2017” at Straits Café & Lounge @ Ixora Hotel, Bandar Perai Jaya, Penang, with delectable festive dishes under the culinary skills of Executive Chef, Chef Aikaun Beh and his dedicated team. Be impressed with the divine selection of food choices created by the team to make your Christmas experiences a memorable one with your friends and family members. Do check out the promotion below. Early birds would get a 15% the bill with advance payment before 20 December 2017. Other than the various spreads of delicious savory and sweet items, you would also get to try out the Cocktail & Mocktail of the month (December 2017) which would consist of “Christmas Rudolph” (Cocktail – RM22nett) and “Santa Punch” (Mocktail – RM18nett). For the whole month of December 2017, you could also order some of the festive desserts as below. 3 days advanced booking is required with a 50% deposit of the item. As for their “Turkey To Go” with various condiments, you could order the bird from 15th until 25th December 2017 at RM460nett per bird. 3 days advanced booking is required with a RM200 deposit and the item is only available for takeaways. Do also check out their current European Cuisine Buffet Lunch for December 2017 from Monday until Friday, 12.00pm-2.30pm at Straits Café & Lounge with 4 different menus on rotation weekly. Some of the highlights would include Cream of Garlic with Oysters, Prawn Gumbo Soup, Slow Braised Chicken Stew with Vegetables, Braised Lamb with Tomatoes and Capsicums, Fillet of Fish and Potato Baked, Braised Vegetables with Tomato Sauce-Ratatouille, Burnt Cream, Chocolate Choux Puff and more. Getting to the Straits Café & Lounge @ Ixora Hotel won’t be hard as it’s just located next to the Megamall Shopping Complex at Bandar Perai Jaya. If you are coming from the island via the 1st Penang Bridge, just look out for the second exit on your left upon reaching the mainland. Drive all the way via Jalan Baru until you reach the 1st traffic lights. Turn left into Jalan Perai Jaya 1 and you can see Ixora Hotel at the junction of Jalan Baru/Jalan Perai Jaya 1. Drive straight for about 10m and you can see the basement car park on your left. Park your car and go up Level 1 and you can see the café & lounge there. As a consumer, we have to be aware on whatever we put onto our plate. However, most people tend to take their food for granted without knowing the source behind each ingredient and how beneficial it is to our health. 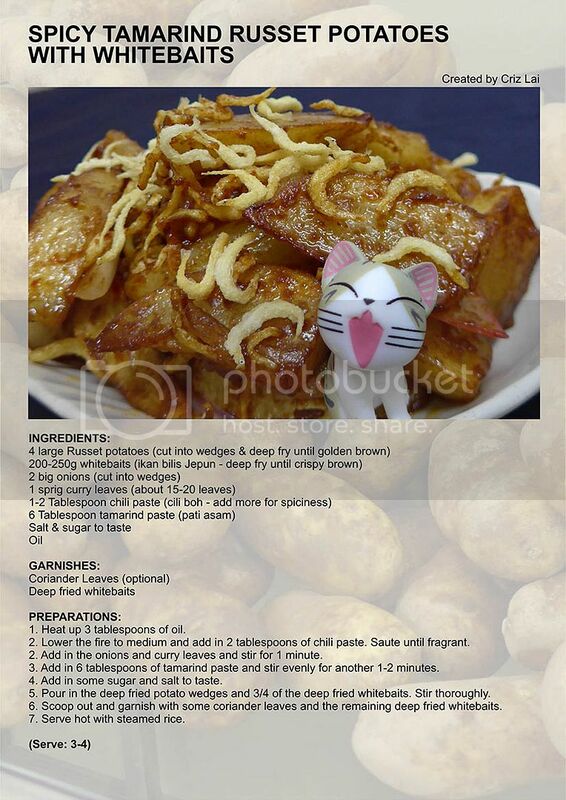 One such ingredient is the potatoes. Potatoes are the third most important food crop in the world, just after rice and wheat and the leading vegetable crop in the United States. They are also grown in over 125 countries in the world at different sea level, from lowlands to highlands. Many consumers, especially those calorie-sensitive ones had always deemed potatoes as the main culprit behind their failed diet plans. Controversially, potatoes are healthy to consume but it’s the cooking methods and ingredients used that matter most. 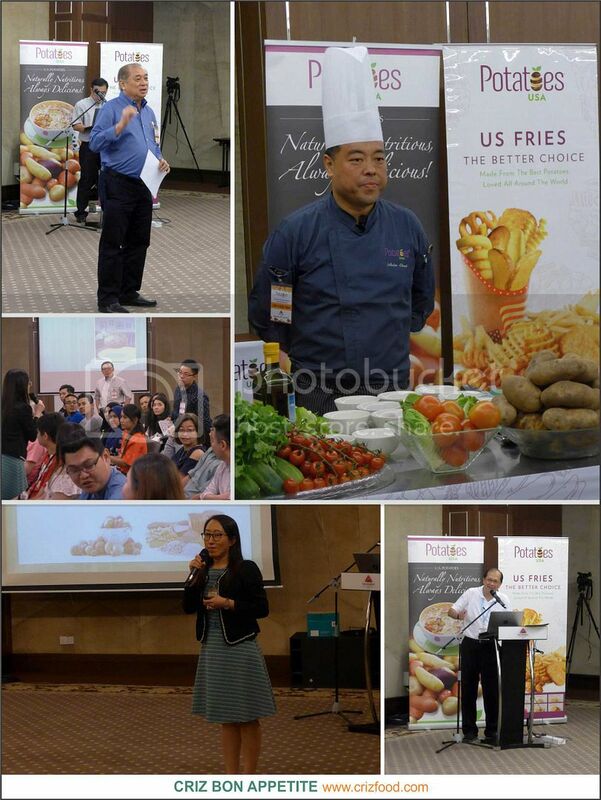 To clear the myths behind the consumption of potatoes, Potatoes USA (formerly known as US Potato Board) had recently on 26 August 2017, launched an awareness program at The Wembley, Penang, to highlight the nutrients found in potatoes with hands-on live shows on cooking potatoes in healthy ways. Guests speakers included Mr. William Tan, Marcom Manager of Penang Chef Association, Mr. Richard Lieu, Trade Promotions Director of US Potatoes, Ms. Khoo An Jo, practicing dietitian from a leading hospital and none other than our Celebrity Chef of the Day, Chef Audee Cheah, President of Penang Chef Association. It was an enjoyable, fun-filled and knowledgeable program for many bloggers and guests. 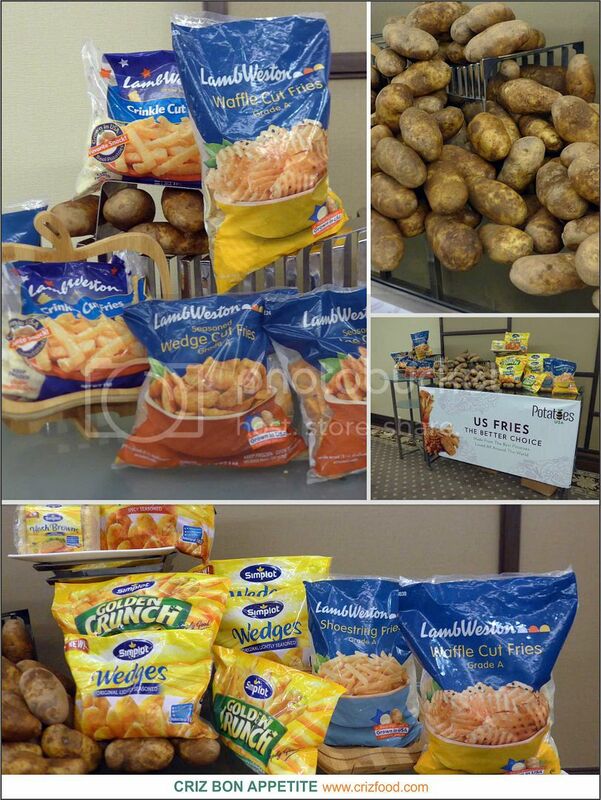 There are actually 5 categories of US Potatoes products offered, namely Fresh/Table-stock Potatoes (Russet Potatoes, White Potatoes, Round Red Potatoes, Yellow Flesh Potatoes, Blue Purple Potatoes, Fingerling Potatoes & Petite Potatoes), Frozen Potatoes (Whole Frozen Baked Potatoes, Frozen Half Shells, Frozen Wedges, Frozen Mashed Potatoes, Individually Quick Frozen aka IQF Shreds, IQF Dices, Frozen Straight Cut Fries, Frozen Crinkle Cut Fries, Loop/Curly Fries, Lattice/Basket Weave Cuts, Tater Drums & IQF Hash Brown Patties), Chipping Potatoes (There are 15 US chip-stock varieties available throughout the year for your potato chip products’ needs), Dehydrated Potatoes (Standard Flakes, Low Peel/Low Leech Potato Flakes, Standard Granules, Mashed Potatoes Mixes, Slices/Dices/Shreds, Granular & Fine Flour) and Seed Potatoes (All seed that is exported also meets U.S. seed potato export standards established by the United States Department of Agriculture). You can see some of the samples and brands as displayed on the table here. These ingredients can be easily bought off the shelves of major retail stores throughout Malaysia. To find out more, do check out the Potatoes USA website. After a short introductory message by Mr. William Tan, a welcoming message by Mr. Richard Lieu, and a short presentation by Ms. Khoo An Jo on the myths and nutritional benefits of potatoes where we finally found out that potatoes contribute key nutrients to our diet, in which included Vitamin C, potassium and dietary fiber. In fact, potatoes have a more favorable overall nutrient-to-price ratio than many other vegetables and are an important staple worldwide. 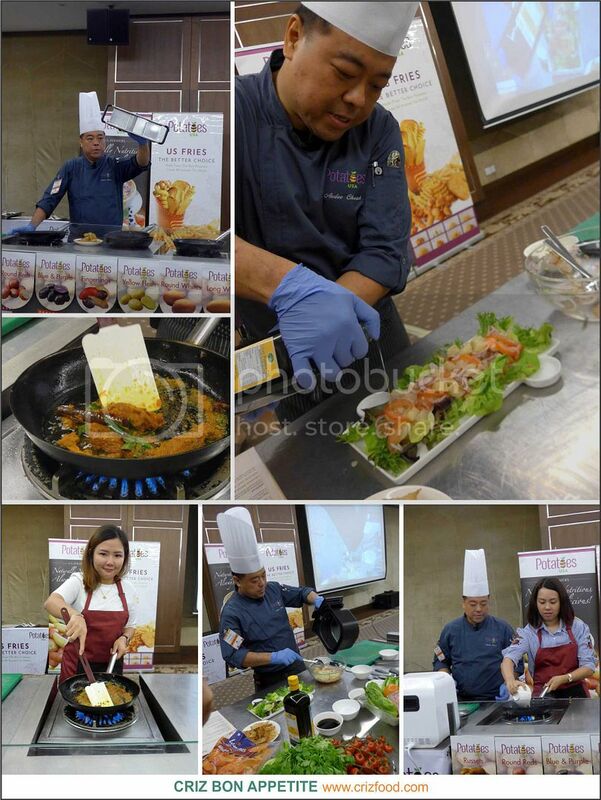 We then adjourned to watch the live cooking demonstration by Chef Audee Cheah. Some of the bloggers were chosen to participate in the cooking as well. Chef Audee Cheah churned out 4 simple and incredible dishes for us to try out, namely U.S. 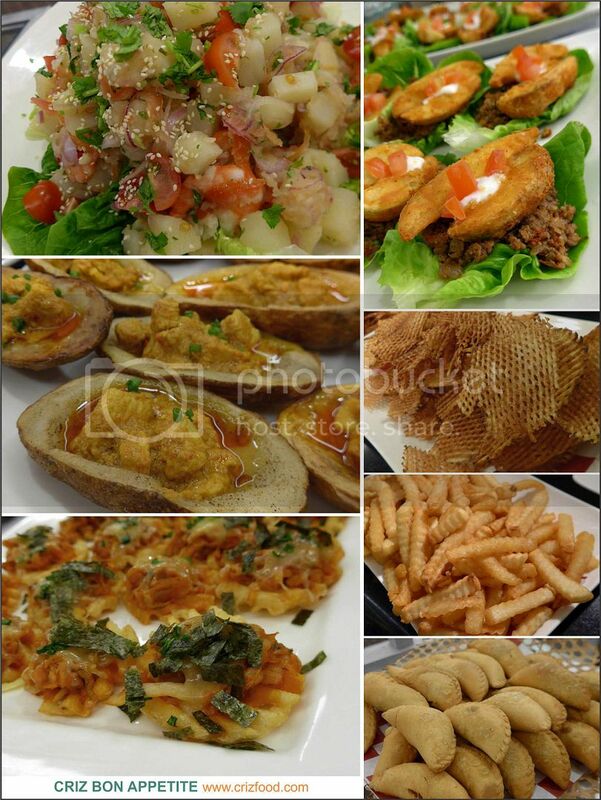 Potatoes and Prawn Kerabu, Curry Chicken Stuff U.S. 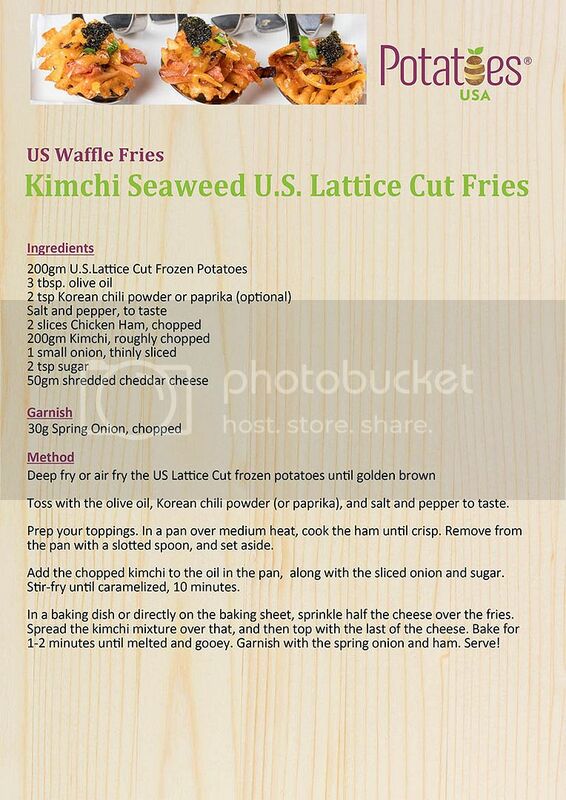 Potatoes, Kimchi Seaweed U.S. Lattice Cut Fries and Chili Flavoured U.S. Potatoes Wedges in Lettuce Cups. We also had the opportunity to try out some of the potato products pepped up by the hotel, together with some beautifully concocted dipping sauces. 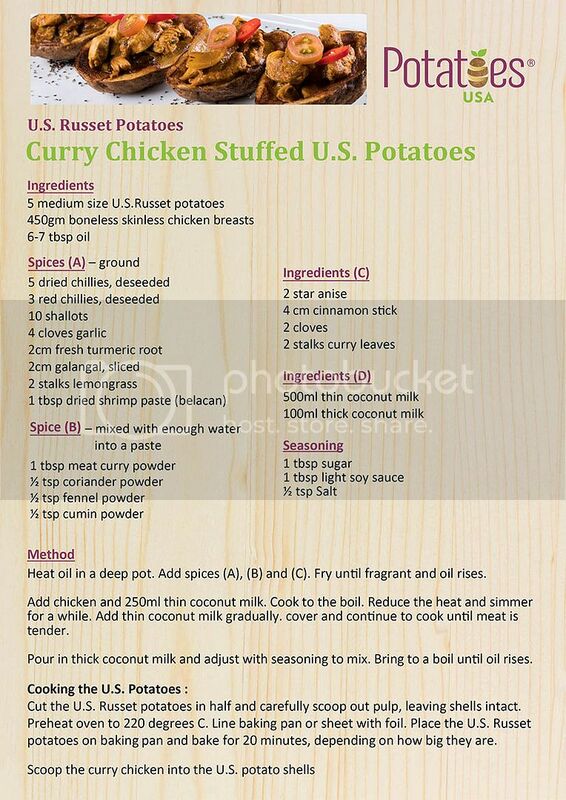 You can click to view or download the recipes below. 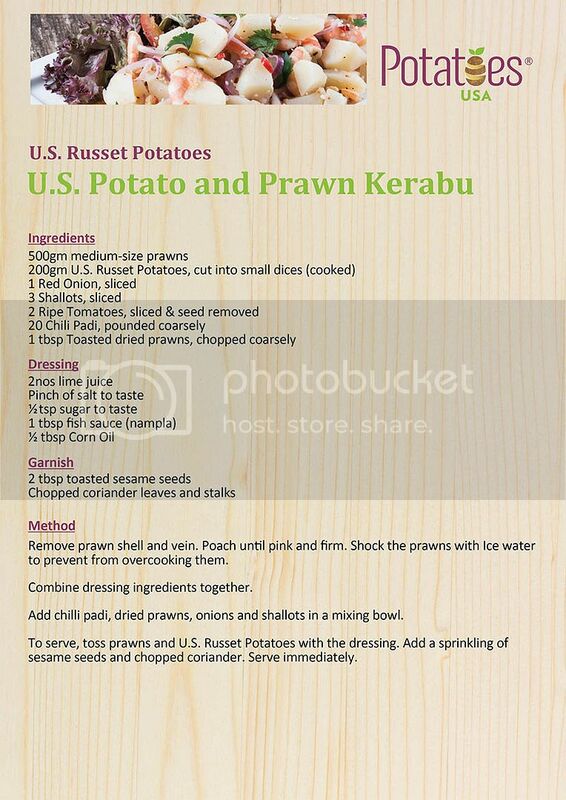 On top of that, I also managed to pep up a recipe by using US Russet potatoes. It’s Spicy Tamarind Russet Potatoes with Whitebaits. It can be real addictive. 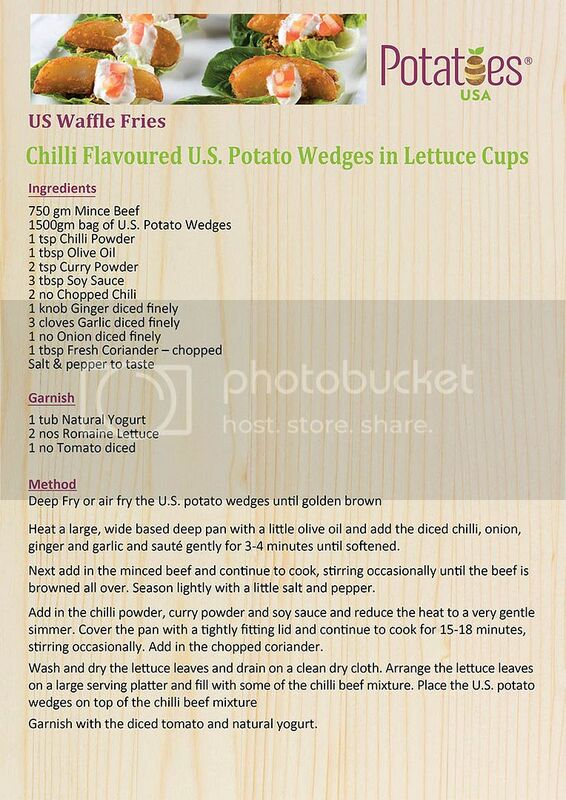 You can also download the recipe below. About Potatoes USA: Potatoes USA is the marketing organization for the 2,500 commercial potato growers operating in the United States. The organization promotes five main potato products, namely fresh table-stock potatoes, fresh chipping potatoes, seed potatoes, frozen potato products and dehydrated potato products. They do not directly sell potatoes and potato products but offers services that help their customers all around the world to increase demand for potatoes. Potatoes USA has invested heavily in marketing and product management research to bring you information that grows your business. Olive Tree Hotel Penang has always been serving unique buffet spreads during the of holy month of Ramadan with offering that would linger for a long time not only through your taste bud but also in your memories. This year, it would pay homage to the Minangkabau community from Negeri Sembilan by adopting the Minangkabau cultures & traditions, in which the hotel would feature Minangkabau-themed elements which would be portrayed through its outdoor lights and decorations, buffet stalls, photo corner and of course the month-long Olive Tree Hotel Ramadan Buffet at their Sukkah Coffee House. The promotion would be available from 27 May 2017 until 2 July 2017 from 6.30pm to 10.00pm with price tags of RM120+ (adult), RM60+ (child: 5-12 years old) and RM80+ (senior citizen: 55 years old & above). Do also check out various discounts available for on selected dates as below. For enquiries and reservations to enjoy the delicious iftar dishes, please contact Sukkah Coffee House at +604-637 7856 to make prior booking to avoid any disappointment. We were served with some of the highlights for the promotion which consisted of Appetizer, Soup, Main Course and Dessert. To start off, we had the Kerabu Jantung Pisang, Nasi Ulam and Ulam-Ulaman with Sambal Balacan as condiment. I’m a fan of raw herbs and vegetables and these few salads alone would have made me contended in life. As for soup, we tried out their Sup Ayam Cendawan. It might sound simple but the overall taste was pepped with flavors, especially from the sweetness of the assorted vegetables. It was quite addictive to my liking. Desserts consisted of Bubur Pulut Hitam and Badak Berendam. It would be a great experience for many to try out their pandan flavored glutinous rice balls (tang yuan) soaked in thick yet creamy coconut milk. Overall, the spreads at the Sukkah Coffee House @ Olive Tree Hotel’s Ramadan Buffet has always impressed me with their high standard and consistency. The Sukkah Coffee House @ Olive Tree Hotel Penang is located just opposite the Subterranean Penang International Conference & Exhibition Centre (SPICE – formerly known as PISA aka Penang International Sports Arena) along Jalan Mahsuri. If you are coming from Bukit Jambul via Jalan Tun Dr. Awang towards the Penang International Airport (PIA), turn left into Jalan Mahsuri at the traffic lights immediately after you have passed the SPICE. Keep right and drive up until the traffic lights and make a U-Turn. You can see the hotel on your left. Park your car and use the elevator or escalator to Level 2 and you can see the Sukkah Coffee House there. 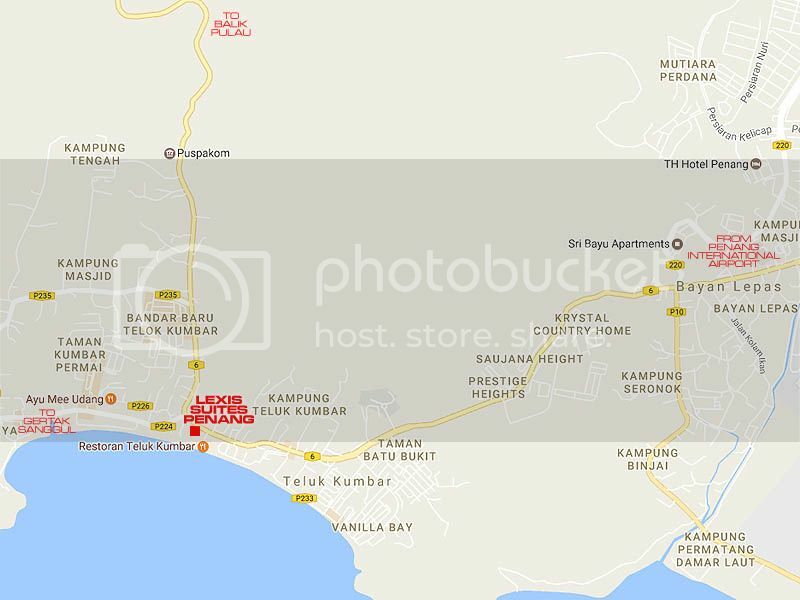 Address: 76, Jalan Mahsuri, 11950 Bayan Lepas, Penang, Malaysia. About Olive Tree Hotel: Nestled along the industrial and corporate corridors of Penang, the Olive Tree Hotel is a Green Building Index (GBI) compliant hotel that boasts easy access to major landmarks and hosts a convenient and conducive environment for business and leisure travelers alike. A 25-storey statement of well profound architecture and hospitality with a choice of 228 rooms and 24 suites, guests can expect not only a functional space that is sure to give the utmost comfort, but also a memorable experience. The Olive Tree Hotel Penang is also built to cater to meetings, conventions, banquets and weddings. It houses a Grand Ballroom with a mezzanine gallery that that can comfortably accommodate up to 720 people and 7 function rooms with various dimensions for various events. For those who had travelled to Taipei, Taiwan and visited the Danshui Old Street (淡水老街) in search of great food, the aromatic scent of the freshly baked old school style egg sponge cake (Ji Dan Gao/雞蛋糕) from one specific shop might still be in your memory vividly. That would indeed be the reminiscence of our childhood days when we enjoyed the fragrance and flavorful egg cake in its most basic form before the pastry industry had gone through years of creative evolutions. Penangites would be in luck now as one such shop by the name on Tam Sui Old Taste Cake of Taiwan (淡水現烤古早味雞蛋糕) had set its foot on the shore of Penang with its maiden operation today. Unlike many of the bakeries out there, the shop utilized the basic concept of open kitchen where all the processes of cakes can be seen and each of the freshly baked cake would be immediately cut in a thick slab of 4”x8” pieces and sold right in front of your eyes. Compared to those sold in Taipei, the bakery here has 3 different flavors available, namely Original (原味古早味雞蛋糕 – RM14nett), Cheese (雙層芝士古早味雞蛋糕 – RM18nett) and Chocolate (暴漿朱古力古早味雞蛋糕 – RM20 – only available effectively 1 April 2017 onwards at 12.00noon and 6.00pm daily except on closed days on Tuesdays). As this is another new outlet opening in Penang, you would expect to encounter huge crowds forming and queueing within and outside the shop. Since everyone would be anxiously waiting to pick up their fresh bakes during each round of the baking time, do spend some time after paying your bills to indulge in their fresh coffee brews. There will be some tables setup to cater to your needs. I’ve tried their Hot Latte (RM8.90nett) and found it to have the right bitterness and creaminess to my liking. Overall, the texture of this old school style egg sponge cake was not as cottony as what you would find in the Japanese style cheese sponge cake but it’s firmer, heavier with more bites. Personally, I quite like their signature cheese version with double layers of oozing cheese complemented well with the mild sweetness of the original eggy flavors. For those who are from outstation, finding the road leading to the shop can be a bit tricky. Though the shop is located just along the service road of Jalan Mesjid Negeri, it would be quite tough especially when you are at the other side of the main road. If you are travelling via Jalan Mesjid Negeri towards Penang Bridge, immediately after you see the Petronas petrol kiosk, turn left into Lebuhraya Batu Lanchang. Drive on and keep to your right until you reach the traffic lights (KFC Batu Lanchang is on your left). Turn right into the road and drive on. Turn right at the second junction before the playground (Batu Green). Drive until the end and you can see the shop at the left corner unit. 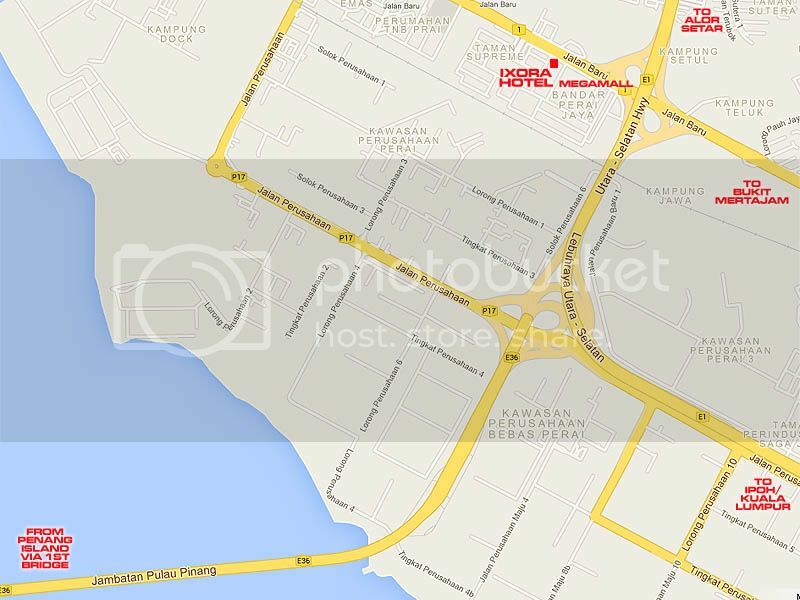 Address: 539 Jalan Mesjid Negeri, 11600 Penang, Malaysia. Address: 3287 Lorong Selasih 2a/1, Taman Selasih,09000 Kulim, Kedah.